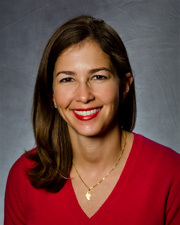 Dr. Iris Orbuch, Director of the Advanced Gynecologic Laparoscopy Center in New York City, and Associate Director of the Minimally Invasive Fellowship at Mount Sinai Hospital specializes in Advanced Laparoscopic Surgery. Dr. Iris Orbuchs' practice is limited to Laparoscopic and Robotic Gynecologic Surgery, and is primarily a referral practice. Her training, under the guidance of Dr. C.Y. Liu and Dr. Harry Reich -- both pioneers in the field of advanced laparoscopic surgery -- allows Dr. Orbuch to be one of a handful of physicians across the country trained to perform advanced minimally invasive procedures. Dr. Orbuch provides both compassionate and individualized care while performing advanced laparoscopic techniques at Lenox Hill Hospital, Mount Sinai and Beth Israel Hospital in New York City. Dr. Orbuch is board certified in OB/GYN. When you visit her office, you won't find a rushed, impersonal environment. Instead, Dr. Orbuch and her staff are committed to providing personal, compassionate services to each and every client. Dr. Orbuch is devoted to helping women live a productive and pain-free life.